Need a little more love in your life? How about handmade finger puppets? Lazy Animals are made in Tel Aviv, Israel by hand, with love. 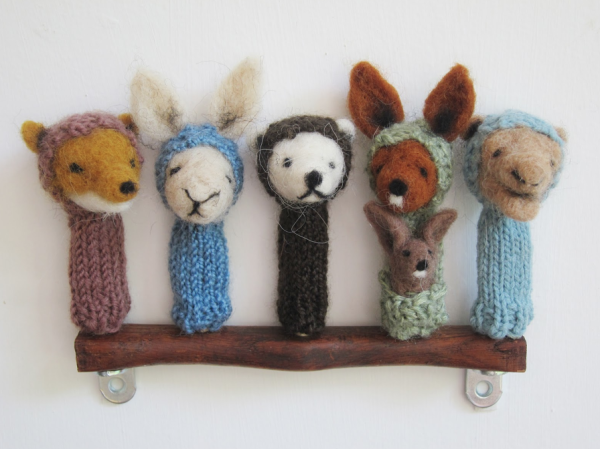 Artist Ayelet has combined her two favourite crafts, knitting and needle-felting, to create these gorgeous finger puppets, shadow boxes and mobiles. 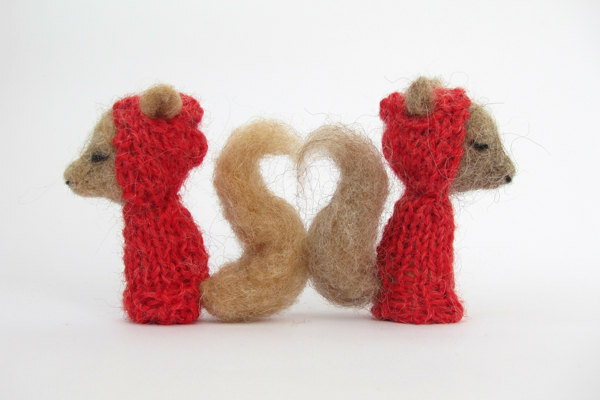 She has a lovely Etsy store and an equally lovely blog about these sleepy little creations. She even makes stationary and photo prints featuring these cute characters. Cards start at US$7 and puppets at US$26. All materials used are natural and upcycled. Walking the line between art and toy, these are just a little bit magical and a whole lot of cute. The most basic of toys in the most traditional of crafts. Simplicity perfected.